The call by South Vietnamese Prime Minister Nguyễn Khánh on July 19, 1964 to expand the Vietnam conflict led to an operation of gradual and sustained U.S. aerial bombardment of North Vietnam known as Operation Rolling Thunder. The mission was meant to boost the morale of the Saigon regime; force North Vietnam to cease support for the Communist insurgency in South Vietnam; destroy North Vietnam’s transportation system, industrial base, and air defenses; and interdict the flow of fighters and materiel into South Vietnam. The sustained bombing lasted for more than three years and finally stopped in October 1968 as the U.S. worked to advance a negotiated settlement with North Vietnam. 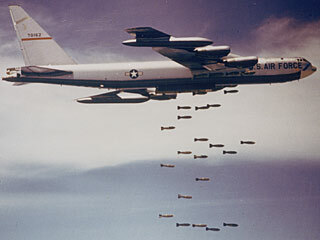 Some historians assess that the bombing campaign was nearly successful in crippling Hanoi’s capacity to wage war, but others argue that rules of engagement put in place to avoid provoking China and to minimize damage to major cities in North Vietnam undermined Rolling Thunder’s effectiveness. The decision to embark on Operation Rolling Thunder was controversial and involved complicated politics and logistics. Joseph P. O’Neill, Agency for International Development (USAID) political officer in Vietnam at the time, was interviewed by Thomas Dunnigan in May 1998. H. Freeman Matthews Jr. served as political-military liaison for General Westmoreland’s Headquarters, was interviewed by Charles Stuart Kennedy beginning in April 1993. 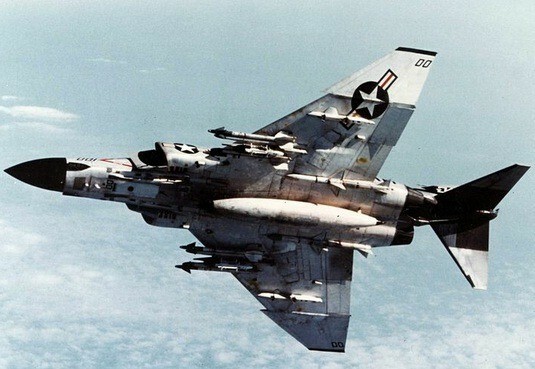 Jack A. Sulser was in the Air War College and discusses the limits of U.S. air power in Vietnam. He was interviewed by Kennedy beginning June 1994. James Marvin Montgomery was the Department of State’s Vietnam Desk Officer; he was interviewed by Thomas F. Conlon beginning August 1996. To learn more about the conflict, see Vietnam, a Look Back, and other Moments on Vietnam. 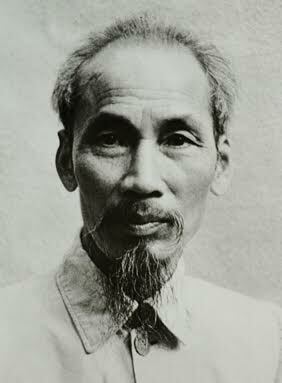 O’NEI LL: Nobody should also in any way think that [Vietnamese Communist revolutionary leader, Prime Minister and President of the Democratic Republic of Vietnam] Ho Chi Minh was an agrarian reformist. He was a nationalist Communist dictator cruel to his own people in the North. One only has to look at what he did for North Vietnam vis-a-vis what Ngo Dinh Diem [President of Vietnam from 1955-1963] did for South Vietnam. North Vietnam was always, under the French and under the Chinese, the richest part of the country with all the natural wealth. The South had the food. The question later developed of how these two parts of the country could survive economically. I think, until about 1964, the State Department was the body that moved the foreign policy in Vietnam and then came General [William] Westmoreland. Westmoreland was as narrow-minded as any general I’ve ever read about. He makes McClelland, the Civil War general, look like a brilliant, opportunistic Stonewall Jackson. There was a great, great general there at that time by the name of General [Lewis] Walt, a United States Marine Corps general. He had started two programs. One was called “Kit Carson.” This was a program whereby a Marine squad or a Marine platoon (but no bigger) was integrated with a Vietnamese squad or platoon. They would each feed a meal to the other every other day. Lunch would either be Vietnamese or American, then the next day the opposite. They would live in the villages and they would stay there for six to nine months. It was good. It worked for about seven, eight, nine months until the North Vietnamese Army (NVA) finally crossed the DMZ. When the NVA came across, they were too big to handle [by the smaller] units. [Such small unit tactics were] good if they were going to fight guerillas. When the NVA came, Walt said, “Look, we can’t defend the whole damned I Corps with what I’ve got, which is about two and a half Marine divisions. Let’s do this. We will protect the DMZ down along Route 1 and from the coast in about 30-40 miles, 50 maximum, all the way down. Our friend [pictured, Commander of U.S. Military Assistance Command General William] Westmoreland’s idea was that we would have a war of attrition. We would kill them. The Viet Cong/NVA would not be able to take the pain, he thought. As we saw them, we would go out and kill them. They would not be able to run and hide. I see two things wrong with this. One, we could not afford the casualties. You can see the results of this in the Powell Doctrine today, which is, you arrive on time, you don’t cause any trouble, and then you leave on time. If something is accomplished, okay. If nothing is accomplished, so what. That is the result. Now, here you have this long fight. There is no way we could win because Ho Chi Minh and his army were willing to fight to the last Vietnamese in North Vietnam and South Vietnam. MATTHEWS: I think that we certainly gave more credence to reports from the Embassy in the political section than we did to the military reports on what was going on. Already I think there was a lot of lack of confidence, a substantial lack of confidence, in much of the military reporting as well as in the famous Hamlet Evaluation Survey (HES) survey…. They were, after all, basically called “progress reports” and so the implication to start with was that this was progress. So I think there was a lot of feeling that much of this was just hype, was not really true, that they tried to always look at the brighter side of things. But nevertheless there seemed to be a general improvement in the situation; our forces were making a significant difference in what was happening there. There were of course, continuing reports of the increasing and continuing North Vietnamese movements into the South. 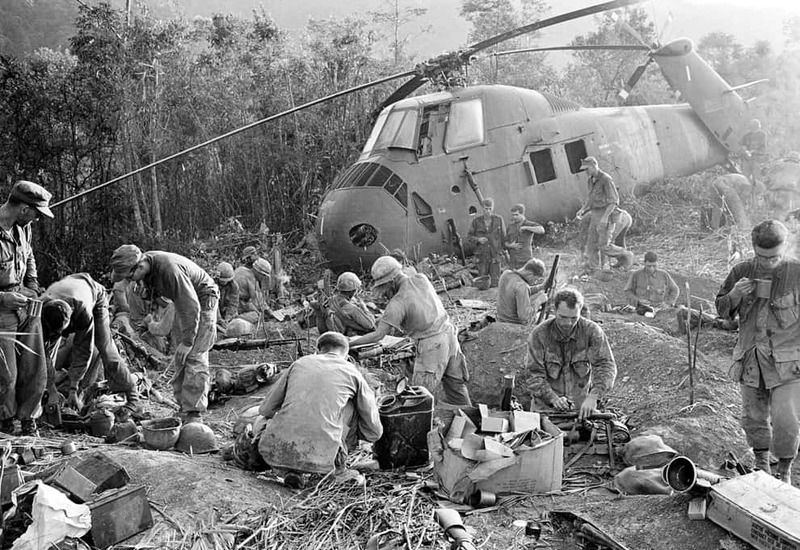 There was a lot of frustration over our inability to stop the movement down the Ho Chi Minh trail, despite all sorts of efforts to try to stop it, including, I think, dropping some kind of detectors along the trail to detect movement, B-52 bombings, all of this kind of thing. But nevertheless, the North continued to move things south. So I think there was obvious frustration on the part of the military that this wasn’t helping very much. There was also concern that perhaps the bombing of North Vietnam was not accomplishing what it was intended to do. Once again, our whole idea was that a “rolling thunder,” which our bombing raids were called, would just continue to increase the pressure on North Vietnam, and that eventually the North Vietnamese would see that this relentlessly increasing pressure was going to be so severe that they were going to have to give up. Well, this didn’t work. It was a miscalculation on our part or a misunderstanding of North Vietnamese determination. They simply just kept going regardless of what the price was. I think a lot of us also began to have the feeling that air power was not something that ever was going to win the war. I have ever since had a great deal of skepticism about the possibilities of “surgical strikes” even when they’re with the wonderful new equipment that was shown in the Persian Gulf War. I think some of that is still a lot of nonsense. SULSER: Absolutely. That is the official doctrine of the Air Force and the motto of the Air University at Maxwell Air Force Base, of which the War College is the topmost part … Their purpose and motto is to demonstrate the decisive importance of air power, and to make of their students advocates of air power. But as an ex-World War II infantryman who was on the ground both in combat and as a POW in Germany, underneath the air raids, I was not so impressed with air power. I had a good many lively discussions with my Air Force fellow students, just as I did in college after the war talking with other veterans of World War II, many of whom had been in the Army Air Corps. I had digested the strategic bombing survey and used to quote quite readily from that, that indicated among other things that German war production continued to increase right up until March of 1945, only a couple of months before the war was over. German war production diminished after that only because the Air Corps declared that they had destroyed all the war production facilities in Germany and reluctantly turned their attention to hitting the trains and other elements of the transportation system in Germany. It was only then, when the output of the various factories could not get together to make the finished product, that there finally were fewer airplanes, fewer tanks. Every Friday morning there at the Air War College we would have a big briefing on what the Air Force had done that week in Vietnam. Rolling Thunder was the big campaign, the B-29s flying out of Okinawa, the Philippines, wherever they were coming from, and dropping tens of thousands of tons of bombs on Ho Chi Minh trail. We’d get statistics on the tonnage that had been expended that week and that sort of thing. Occasionally they would show comparisons with World War II that demonstrated that many times the amount of ordnance was being expended in Vietnam as had been expended during World War II. And still the war seemed to be going against us all the time. I was there during the Tet Offensive, and we had speakers from Washington, from JCS and other parts of the Pentagon and the National Security establishment in Washington [talking] about the hundreds of thousands of additional troops that were necessary to accomplish the mission. It impacted on the personal level too, because the Air Force element of the student body, which being the Air War College was of course the largest part of the student body, was much smaller than it had been because [Secretary of Defense Robert] McNamara said we can conduct the Vietnam War and all of our other activities without having recourse to a draft and without expanding pilot training, because statistically his systems analysts showed that the Air Force had all the pilots they needed to do all this stuff. They were all needed in Vietnam and we had very few pilots at the Air War College. About the only pilots we had were a few people who had come off attaché duty in other countries or off of desk jobs in the Pentagon, many of whom had not flown combat aircraft in years, and they were just about the only Air Force pilots we had. We had an airfield that was full of airplanes, but every time we had to go somewhere as a student body, they had to bring in National Guard squadrons or Air Reserve squadrons to fly us there because there were no Air Force pilots in the student body. When we would make study trips to Washington, for example to do research, planes were available but they were flown by the Navy, and Coast Guard and Army pilots who were in the student body there. The Air Force component of the student body was much smaller than usual and those that were coming out of non-flying jobs to attend there, every one of them had to go at the end of this course to Vietnam into a combat flying situation. All the students were full Colonels or Lieutenant Colonels. Some of them had been in teaching assignments at the Air Academy in Colorado Springs or desk jobs in Washington, intelligence activities, for years, and had barely done enough flying to maintain their flight pay. Now they were going to have to go out there and fly combat missions as a Colonel, a wingman to some guy who is actually junior to him but had more combat experience. A number of them perished when they got to Vietnam. People forget that “Rolling Thunder,” the big bombing missions into North Vietnam, was in part run by [National Security Staff member Morton] Halperin, he of the Pentagon Papers fame. You see the conflicts that later occurred as both Halperin and Lake left the government over Vietnam though they were “hawks” when they were in Vietnam. MONTGOMERY: [U.S. Ambassador Graham] arrived in Bangkok in 1962 and left there in 1967. He set the framework for our presence in Thailand. The arrangement basically was that the Thai willingly gave access to all kinds of facilities and all kinds of cooperation, thanks to Ambassador Martin. However, these arrangements were to be managed, not by the Chief of JUSMAG [Joint U.S. Military Assistance Group], or even MACTHAI [Military Assistance Command, Thailand], which replaced JUSMAG. These arrangements were to be run by the Embassy. The military operations conducted out of Thailand were to be kept within the parameters that had been established with the Royal Thai Government [RTG]. 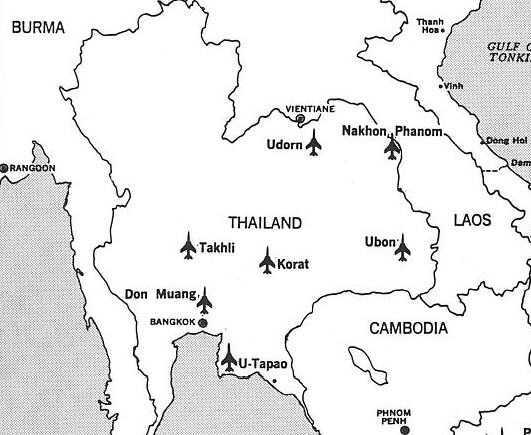 To that end the Political-Military Section would get a telegram every day from Seventh Air Force in Saigon, laying out the bombing missions for aircraft based in Thailand. We would check the map coordinates for those missions with the parameters we had established with the Thai Government. About once every three months Seventh Air Force would have to scrub a mission because we wouldn’t let them do it – because it didn’t fit within the agreement we had with the Thais. Then we’d go and see the Thais and would have to explain to them why we wanted to use the airplanes at Utapao Air Base to do this or that, instead of what we had been doing (Utapao Air Base had B-52 bombers. It was south-southeast of Bangkok and was part of the Sattahip military complex). Generally speaking, the Thais would then agree, but they never let go of that relationship. Because of this arrangement, this was an enormously permissive relationship. The Thais let us do just about whatever we wanted to do, as long as it was within reason. They wouldn’t let us bomb Beijing from Utapao, or anything like that. However, this arrangement drove the Pentagon nuts, because none of it was written down. It was all on the basis of Memoranda of Conversations. 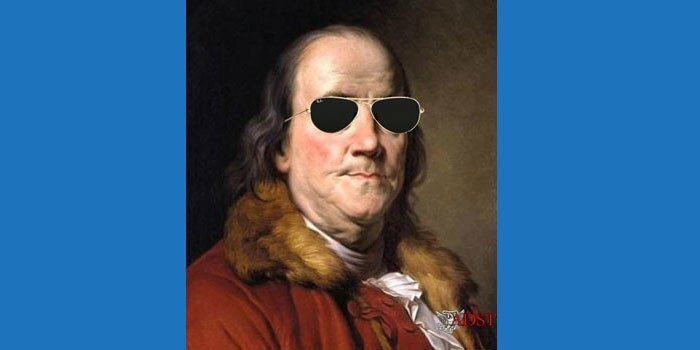 There were desultory negotiations for a base rights agreement, which were never completed. And there were desultory negotiations for a Status of Forces Agreement, which were never completed. There were 55,000 American troops in Thailand – without a Status of Forces Agreement [aka SOFA]. In that sense it was a remarkable feat. But the Pentagon hated this arrangement. They would much rather have had much less in the way of facilities, in actual practice, if they had it written down. This brings us to the historical backgr ound, which is very important for understanding this very cooperative relationship which we had with the Thais. It was thanks to Ambassador Graham Martin (pictured) that this happened. In 1962, after Martin had arrived in Thailand, you may recall that when the Pathet Lao got close to the Mekong River, we had some diplomatic negotiations with the Thais which resulted in the Rusk-Thanat Communiqué. This communiqué said that our obligations under the SEATO Treaty [Southeast Asian Collective Defense Agreement] were singular as well as collective. In other words, if the French and Pakistanis didn’t want to go along with helping the Thais, we could do it anyway under the SEATO Treaty. When the Pathet Lao got close to the border of Thailand, President John Kennedy decided to send American troops and aircraft to Thailand to snarl at the Pathet Lao. I think that the Thais read about this decision in the newspapers. Ambassador Martin had to pick up the pieces. The way he did it was to say to the Thais, “Look, we have the SEATO Treaty. We have a long history of adherence to collective security. You stood with us in Korea.” And they did. Thailand was the first country to send troops to Korea. He then began to set out a list of Thai logistical shortcomings that was exactly the same list as the U.S. military had set down. He portrayed them as part of a joint effort. This was called The Special Logistics Agreement – Thailand, or SLAT. The SLAT involved railroad reconstruction and building communications facilities and some highways. The Thais loved this because it not only strengthened their logistical capabilities for military action but it also strengthened the country’s economic infrastructure in a very real way. So this was okay with the Thais. When we decided to deploy large numbers of aircraft and supporting troops to Thailand, in the wake of the decision in 1965 to begin Operation ROLLING THUNDER, the bombing campaign against North Vietnam, we obviously needed a lot of cooperation from the Thais, because we planned to put some of these troops and aircraft into Thai air bases. We were also going to have to build a large number of infrastructure projects in Thailand, expanding port facilities, and so forth. The genius of Ambassador Graham Martin was that he went to the Thais when this happened, and he said, “All right, it’s now time for the second SLAT agreement. It is time for SLAT II.” Martin took all of the U.S. military’s logistical requirements and sold them to the Thais as part of a joint effort, not as part of the U.S. doing what it had to do to support itself. It was truly making a diplomatic silk purse out of a sow’s ear. 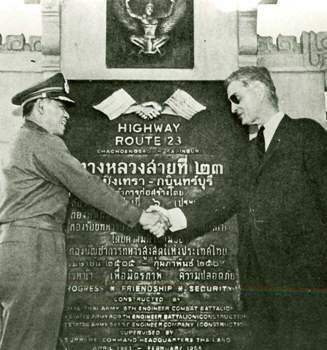 This complex of arrangements became known as SLAT II, an agreement reached between Ambassador Martin and the Thais. However, the thing is that Martin never told Washington about this package. We found out about it later on, and inadvertently, when [Thai] Gen. Kriangsak, when he wanted something from us, kept saying that this was consistent with SLAT II. It took us a while to figure out what he was talking about. The Thais had institutional memory because many of their people dealt with us for many years. The Embassy had less institutional memory because of periodic transfers of personnel. Part of SLAT II was the idea that political control of the American military presence would never get out of the hands of the Embassy. If it did, the whole thing would fall apart, because the U.S. military would start talking about its requirements, rather than the U.S.-Thai jointly agreed-upon effort to contain aggression in Southeast Asia. That was the secret of Thai generosity and Thai willingness to deal on a very open-handed basis with our requirements, because this was constantly portrayed as a U.S.-Thai effort. We contributed what we could, and the Thais contributed what they could. Ambassador Martin was able almost perfectly to sell almost every logistical requirement that we had – particularly because some of them were major programs – as an expression of this joint SLAT II concept. This almost broke down when Martin went to the Thais to obtain approval for the deployment of B-52 bombers to Utapao. The air base was already there, but the landing strips would require major strengthening to be really heavy runways to handle B-52s. The Thais were very concerned because the B-52s had the range to reach China, and this would upset the Chinese. 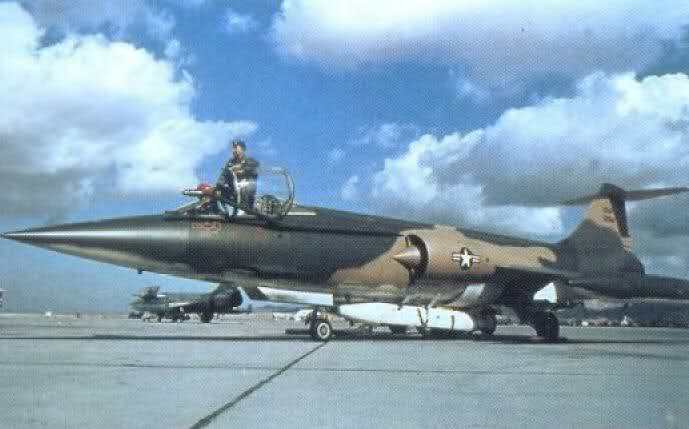 The other aircraft we had, the F-4s and F-5s, didn’t have the range to reach China. So Martin told the Thais, “Listen, what are you worried about? One, we’re not going to attack China. That’s clear. Two, if we decided to attack China, we would use B-52s based elsewhere. Three, if we decided to use B-52s from Utapao, we wouldn’t do so without your agreement. Four, we have all of these tactical, fighter aircraft in Thailand anyway. They would stand between Thailand and any Chinese pre-emptive attack. In any case, I can tell you that, if the Chinese were to attack Thailand, we would put those B-52s under Thai operational command.” The Thais said, “On that basis, we’ll let you deploy B-52s to Utapao.” The Department of State never knew about this until much later.